“Thelonius my old friend, step on in and let me shake your hand”. Words from Steely Dan circa 1976. Not that they apply much here because our Thelonius is something other than just a good old friend. 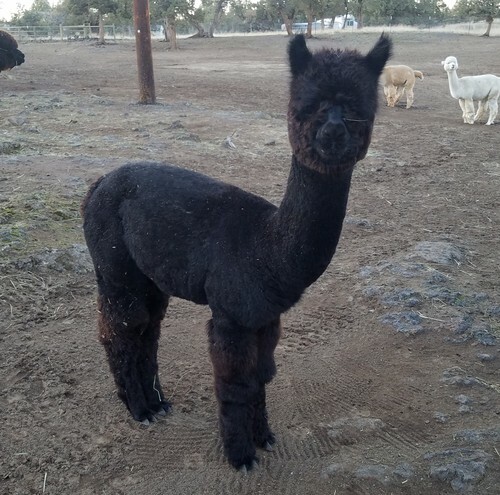 He is an exceptional black alpaca and he always has been. We knew from day one that Theo would be special. He just had “it”. All that was necessary now was the matter of growing up to verify those initial impressions. Well he has aged just fine and we are pleased. 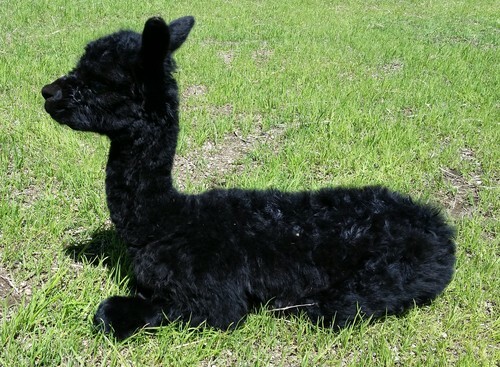 You don’t see black alpacas like this come along very often. Thelonius is a rarity. Thelonius' first cria are due in August 2012! We bred for Black, and that's what we got. Ecstasy is one of those Blacks you hope for, kind of a Blueish Black. 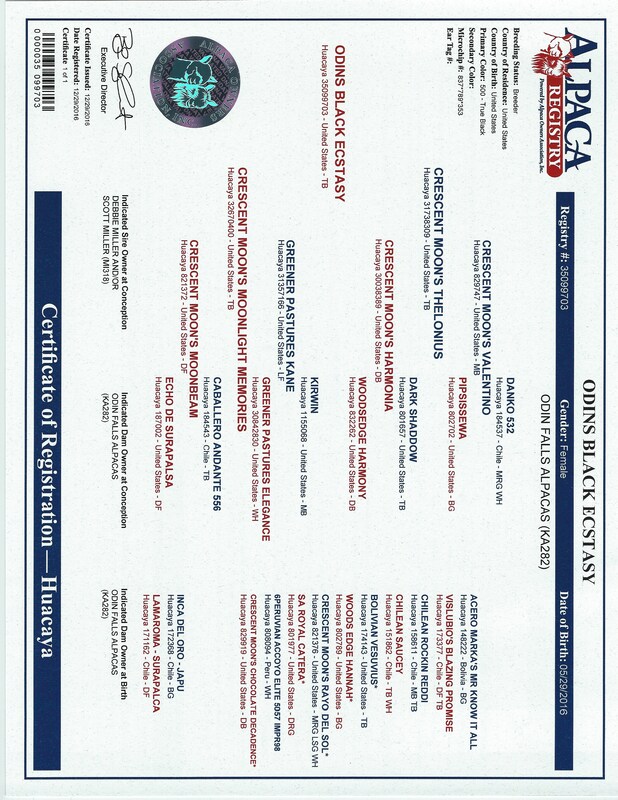 Ecstasy's dam Moonlight Memories is a two time Champion with four Blue ribbons under her belt. 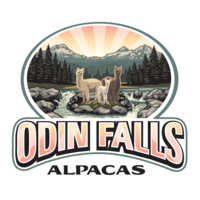 Her sire, Crescent Moon's Thelonius, five time Champion, two time Reserve Champion, with ten Blue ribbons under his belt, has produced a beautiful little female cria with exceptional conformation. She has a beautifully bright really fine fleece and wonderful head. Looking forward to seeing her grow up.